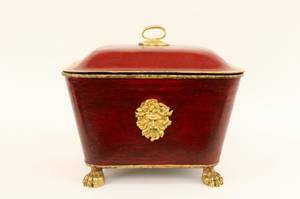 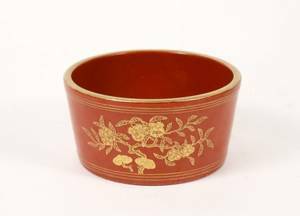 Late 19th/Early 20th century. 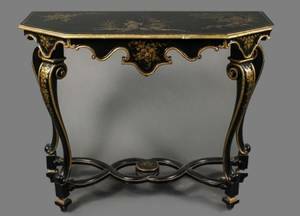 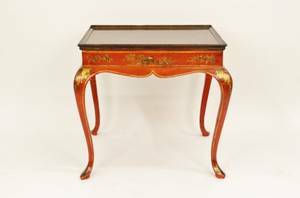 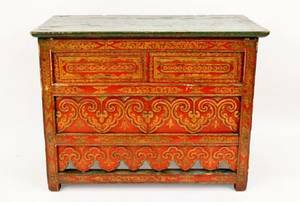 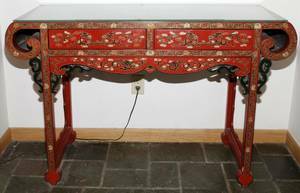 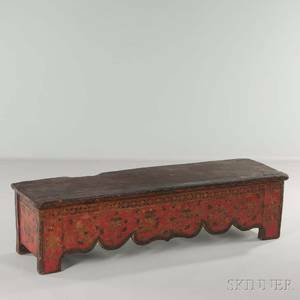 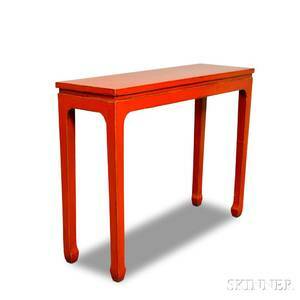 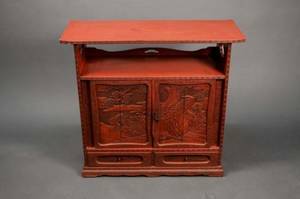 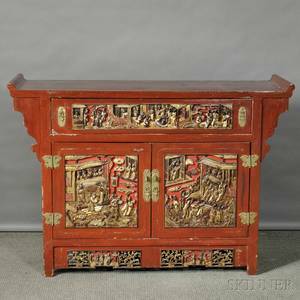 Tibetan red lacquered wood and raised gilt decorated altar table with rectangular green finished top above paneled body with all over lappet and swirling ornament. 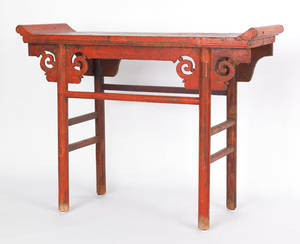 Height 29.5", width 39", depth 21.5".